10.) Compete at Tournaments – If you like competition, this is the place to prepare yourself for tournaments. Join our Competition Team and travel with us to the surrounding areas for Tournaments! Stop by and check out our walls, they are full of medals and pictures from competitions!! 9.) Self-Defense – With Red River BJJ we will teach you the tools you will need to defend yourself. If you apply the teachings to your life, BJJ becomes something that can help you if you find yourself in a bad situation. 8.) Lose Weight – Brazilian Jiu-Jitsu is a workout like no other! You will find yourself pushing your body & mind to new heights while learning the techniques and most importantly, by having fun. 7.) Top Notch Instruction – Our instructors and staff are here for you. We are committed to making sure that you learn the fundamentals and techniques that you need to thrive on your journey with Brazilian Jiu-Jitsu, we invite experts from out of town, like Bruno Bastos to teach a few times a year. 6.) Join the Family – As a member of RRBJJ you are not JUST a student. You are FAMILY! From the instructors, to students, to families of students; you are one of us and a member of the Brazilian Jiu-Jitsu community. We are all united under the life principles of the BJJ lifestyle and are here to help support you. 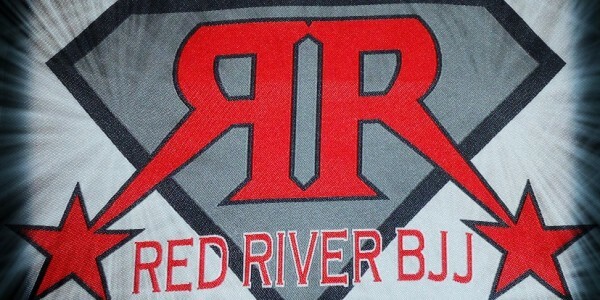 We would love to have you join the RRBJJ family. 5.) For ALL ages! – Some may think, “I am too old to start something like this.” Not true. Brazilian Jiu-Jitsu is something that anyone can do, no matter what your age is. The RRBJJ family is diverse and we range from kids, teens, and adults of all ages. 4.) Learn MMA style striking and boxing – If you watch UFC, have you noticed that most fighters use Jiu-Jitsu? One of the styles used by Anderson Silva (UFC Middleweight Champion), Georges St-Pierre (Welterweight Champion), and all the top contenders/top names is Brazilian Jiu-Jitsu. Current undefeated Women’s Champion, Ronda Rousey has defeated all her opponents with arm bar submissions! We can show you different variations of those arm bars! 3.) No Bullies! – All our students learn that Jiu-Jitsu is a self-defense art and is only used as such. Our students are NOT bullies and will NOT bully others. We show them safe and easy techniques to stop bullying if this is happening to them. Arm you children with the secret weapon of BJJ! 2.) Discipline – Learning the art of BJJ makes you learn more about yourself. Learning the techniques requires dedication and discipline. You learn to focus on a goal, drill the moves to perfect them, and achieve those goals when you least expect it! 1.) Friends – Finally, the #1 and most important reason you should join RRBJJ is to learn an effective tool that can be used in life today, tomorrow, or when the need arises! At Red River BJJ you learn to share your knowledge with other students no matter what belt. Everybody learns from each other. Members of RRBJJ are truly passionate and love what they do. Bonus Reason… It’s called positive peer pressure! We want you to give our school a try for FREE! If you or a friend is on the fence about trying a class, go for it! You will not regret it! We are confident you will use that positive peer pressure to drag your friends to the next class once you’ve tried it! This entry was posted in Uncategorized on June 23, 2014 by Redriverbjj.